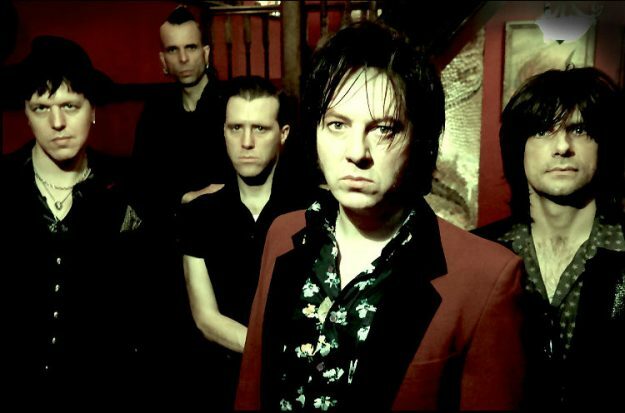 JIM JONES & THE RIGHTEOUS MIND have announced a run of UK dates next month, kicking off with a very special London show. Flushed with the success of their acclaimed debut album Super Natural in the spring, Jones and band have announced the dates in support of new single ‘Something’s Gonna Get Its Hands On You’, which is out on 17 November. The tour opens at Mirth, Marvel & Maud in Walthamstow, London on Friday 10 November. Support comes from THE FUTURE SHAPE OF SOUND and THE LEFT OUTSIDES. Tickets priced £12.50 are on sale here. The band then head off round the country with support from fast-rising garage-punk duo DOLLS. Full dates are…. ‹ DARTS GET MESSED UP!